Keeping offshore editorial services costs in check on publication projects may mean you need to rely on outside editorial and production resources. If you decide to work with a production facility that is located offshore, how can you be certain that your expectations for high-quality production values will be achieved while also maintaining trim budgets and tight schedules? 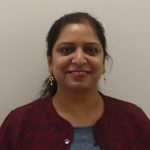 Meet Mona Tiwary, Director of Offshore Editorial Services, Westchester Publishing Services, India. Mona possesses nearly two decades of distinguished experience in producing a multitude of print and digital products for top publishers like McGraw-Hill and Cengage. She joined Westchester Publishing Services in 2015 as the business head of the New Delhi Business Unit, headquarters for our offshore editorial services. Her strong understanding of the publishing needs/goals of publishers in the United States, United Kingdom, and Australia and her knowledge of the K-12, higher education, professional, trade, and academic markets make her a valuable asset for WPS. Mona leads a highly skilled team of editorial and production resources at our wholly-owned and US-managed production facility, in New Delhi. This team includes project managers with expertise in end-to-end project management services, each with approximately a decade of experience in working for major publishers. She has cultivated a vast network of editorial resources across disciplines – there are more than 400 editorial staff (freelance as well as in-house) located in the United States, United Kingdom, and other international destinations, ensuring the editor who is assigned to your project possesses the requisite subject matter knowledge. No matter how specific your content is – science and technology, humanities, math, life sciences, fiction to name just a few – Mona is able to pair it with an editor who can adhere to your standards and deliver a quality product. Mona’s team can capably execute on a complete menu of full-service pre-press services, including, but not limited to, content creation, developmental editing, copyediting, project management, complex composition layout, cover and book design, proofreading, indexing, artwork, photo research, and alt-text content creation. Clients including Blue360 and Twelve Tables also shared testimonials about working with our New Delhi operation, which you can read on this page of client feedback. When you consider the knowledge and experience that Mona and her team of professionals bring to publication projects, it is beyond what is traditionally considered full-service because they act as a partner to publishers, becoming a trusted, reliable extension of the publishers’ internal team and practices. Publishers who work with Westchester’s New Delhi team are confident in the quality of the finished product due to the consistency and consultative approach they receive at every stage of their projects. They are also impressed with the responsiveness and solutions that are utilized to address challenges which can happen as a project progresses. If you have been looking for the balance between cost-effectiveness and high-quality production values for your projects, the search is over. Download these workflow overview charts, which are customizable to your specific requirements, and contact us to learn how you can benefit from the expertise of Mona and the New Delhi team.